Traditional Star, (lp-3), is a very old design. We have been called upon to restore such lanterns that have been in families for generations. 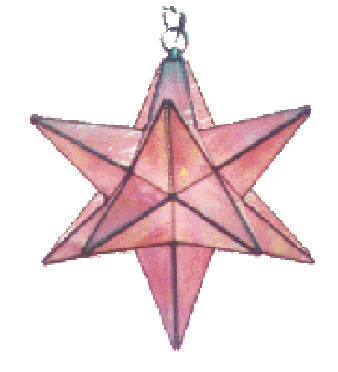 The Traditional Star lantern pack includes a guide for making an angle jig to aid in assembly and instructions for a light baffled hinge on one star point for bulb changing.